Every website needs to be hosted someone where. This is what makes your website visible on the Internet. 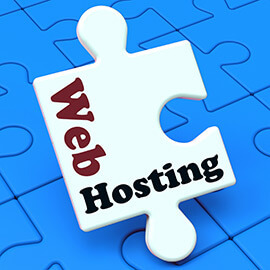 Web hosting is an extremely important part of your website puzzle. There are many different web hosting options available, which can be very confusing. We can look after the hosting for you to reduce that confusion and ensure that you have the correct web hosting for your website. We ensure that your website also has proper backups being run so you don’t loose your valuable data. If you subscribe to a Web hosting management plan with us, we will place you with a great Web host that has a phenomenal standard of customer service. That might not seem important when everything is running smoothly, but in Web hosting things actually change often behind the scenes and the secret to running smoothly is solving problems quickly on a regular basis.After being in this business for many years we know what a difference support can make when there is a problem. Having a web host that is proactive and responsive is essential. The cheapest hosting usually does not have the phenomenal support required to keep your website up and running, even if they have a great TV commercial.